Are you the parent of a child receiving special education services that is considering filing for a due process hearing? Have you already filed for a due process hearing due to a dispute with special education staff? Would you like to know what issues can arise with a stay put placement? This article will give you information on what difficulties may arise when you ask for a stay put placement. 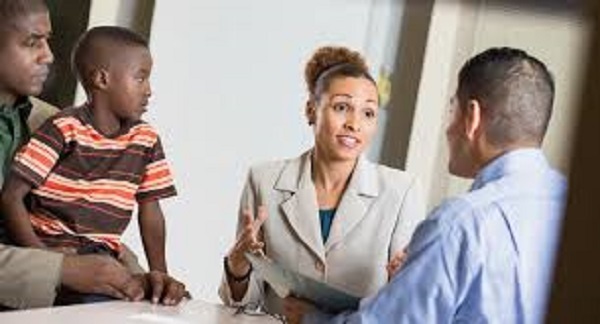 Stay put is the last agreed upon placement between parents and school districts; the placement that the child is in when the parent files for a due process hearing. Below are some difficulties that may arise when determining stay put! Difficulty 1: If a child is transitioning from preschool to Kindergarten or from middle school to high school stay put can be difficult to determine. If a child is transitioning from preschool what is stay put-preschool or kindergarten. Some hearing officers have ruled that in this situation the child would stay in preschool until the due process was finished. Difficulty 2: If your child is currently in a private placement at public expense and will be changing districts from elementary and high school, a dispute on stay put may develop. This actually happened to a friend of mine, and the decision was that stay put is the child’s private school placement at public expense. The high school was angered that they had to pay for a private school placement that they disagreed with, until the due process was finished. Difficulty 3: A difficulty would arise if a parent had a settlement agreement with their school district waiving stay put as the private school at public expense. Be extremely careful when signing settlement agreements to ensure that you are not giving up IDEA rights in the future! Difficulty 4: A difficulty would arise if a school district wanted to change a child’s placement because they thought the child was dangerous. Case law has held that the school district cannot unilaterally change the placement of a child for behavior that is caused by their disability. The exception is if the child had drugs at school, a dangerous weapon at school, or caused serious bodily injury to another child or school district employee. The school district could then remove the child for 45 days to a Interim Alternative Educational Setting. By understanding what the difficulties could be in a stay put placement will allow you to advocate for your child. Why Participate in Kids Sports? Special Education Leadership is Missing, Where Are You? Can We Can Improve the Learning of Mathematics? © 2019 - You, Me and ABC... Start Learning. All Rights Reserved.